Eclipses - How they will change your life? Eclipses! Eclipses! I have been in love with Eclipses since I first learned of them in Science class. A Solar Eclipse is the full or partial covering of the Sun by the Moon (as viewed from the Earth). A Lunar Eclipse is the full or partial covering of the moon by the Earth’s own shadow. Eclipses occur about every 6 months and they usually come in pairs. When we have a Solar Eclipse, we always have a pairing Lunar Eclipse. On occasion, when the axis shifts, we will have a Lunar Eclipse and not having a pairing Solar Eclipse. 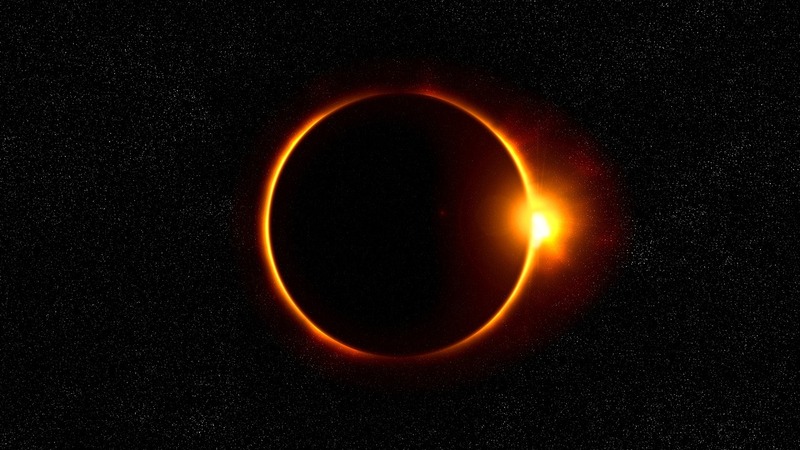 I have since become an ‘eclipse junkie’ and have documented over the years the events and transitions that have occurred in the lives of my friends and clients. It never fails that when an eclipse occurs at a specific axis – that is, when a Solar Eclipse occurs in one sign, more often than not, the Lunar Eclipse occurs in the opposite sign. There are exceptions and the upcoming eclipses in September are proving that to be true. Over the years I have noticed that about six months before an eclipse occurs – either Solar or Lunar – people with that Sun Sign or Ascendant will begin to call. So, now with this upcoming Solar Eclipse in Virgo – and the Lunar in Aries – all Virgos or those with Virgo rising, or Aries or those with Aries rising- are calling more often. In some cases, those that are calling for readings are doing fine – but they are puzzled by the behavior of their partner. And, wouldn’t you know, that partner is always the SunSign of the upcoming eclipse and they are acting out-of-character and going through the basic eclipse behaviors. Basic Eclipse Behaviors . . . . so, what are those?!? It has been said that eclipses are ‘course correctors’. An Eclipse will change the course of your life. The part of your chart where it falls will determine the part of your life that it affects. For example, if an eclipse falls in your second house you will be forced to deal with an issue regarding money. When an eclipse fell in my eleventh house, I made new friends. The desire to change partners. You will marry – or divorce depending on other aspects in your chart. Again, at an eclipse, what is hidden comes to light. You begin to see what you didn’t see before. Events tend to speed up near an eclipse and awareness increases. And, the awareness may come as a big surprise and throw your plans out of focus. Another way of looking at eclipses is that they are warning signals. Certain factors of an endeavour may not be going as we had planned and if we continue to go ahead with the plan you will run into unexpected developments. Affairs begin and end abruptly around eclipses. There is a sudden focus, and then the emphasis ends abruptly. Lunar Eclipses are less powerful, but they have the same reaction. One thing you can be sure of – your life will change dramatically because of an eclipse. And, if you have a Sun Sign or an Ascendant located hear the position of the eclipse you are sure to experience a life-changing event. Eclipses have a six-month life span. Meaning what is triggered by an eclipse may take six months to unfold. And, at any time during that time an Eclipse Point may be triggered by the transit of another planet and that can re-energize a new life path for you. It is important to remember that an eclipse will affect each person differently, depending on where it falls in your own personal chart. But they are unsettling because they mark the end of a chapter in one’s life.